The Allergy Show and co-located Free From Show was created in response to an increasing prevalence of food intolerances and allergies among Australians. Today people are more aware of what they put into their bodies and this has had a profound influence on food, beauty and household products, and the health industry. Living with an allergy doesn't need to be a challenge. With new products and information becoming increasingly available there has never been a time where living a life free from certain ingredients has been so easy. Even individuals without intolerance or sensitivities have started eating a free from diet out of lifestyle/ethical choices and haven't looked back. 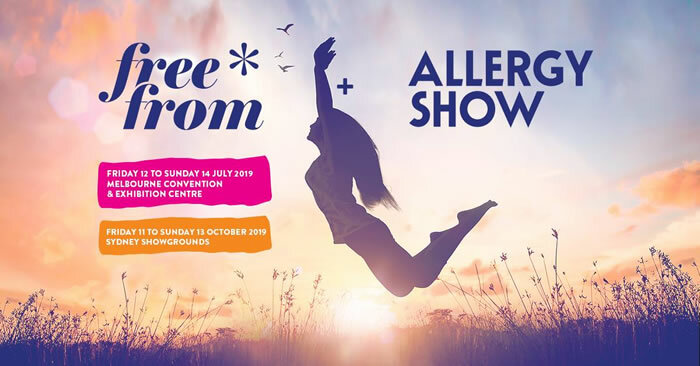 The Allergy Show will cover everything you need to live the best version of yourself and prove that you can live free from ingredients that cause you discomfort, without having to compromise. Discover, taste, and educate yourself on new and existing products and services available that suit your lifestyle. Whether you want to indulge in culinary treats, nourish your body with harm-free products, or discover the latest products and services on the market, our comprehensive group of exhibitors have it covered.